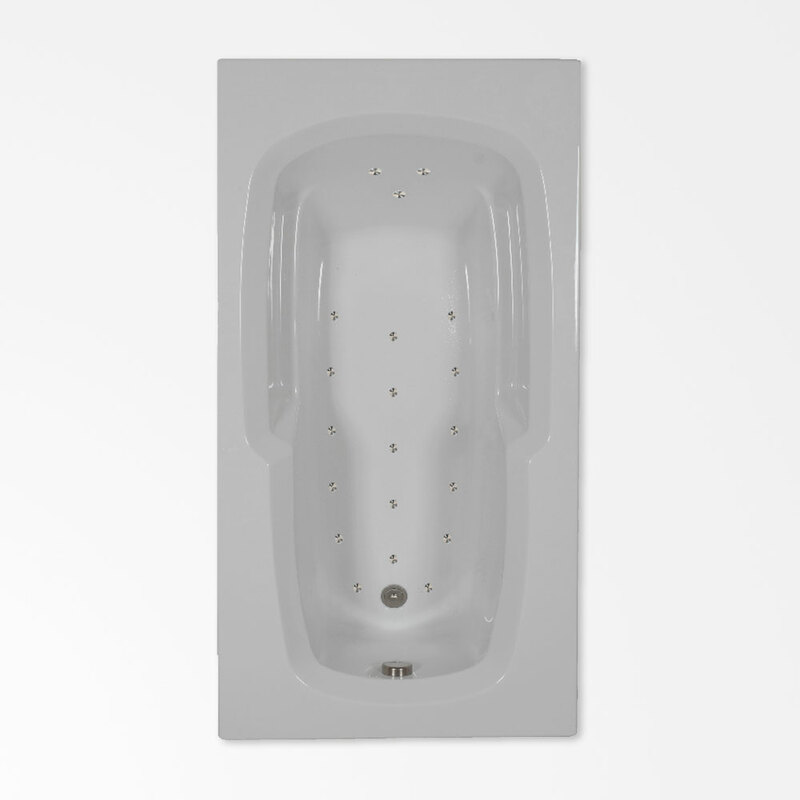 Upgrade any bathroom with its boring, run-of-the-mill tub to a mini-spa with this stylish acrylic air bath. Relax against its molded back and built-in armrests. Treat yourself to your favorite bath product and restore your well-being as millions of tiny bubbles lift your spirits. All without breaking the bank. This air bath is versatile. Its 60” x 32” dimensions match standard tub sizes, making it ideal for small to modest-sized bathrooms, but its added depth makes it anything except standard and allows for complete body coverage. Because of its size, it’s ideal for a bath-shower combination, and it fits the standard bathroom alcove. A flat deck ensures water from the shower flows back into the basin. Automatic purge cycle 20 minutes after blower is turned off dries remaining moisture in manifold and air lines.